The sophomore class is sponsoring Hat Day, on Friday, Oct 17th. Want to support your favorite team? Maybe show off your fave cowboy hat, fedora, jester, Santa Claus, or stocking hat? Students AND teachers and staff can pay $1 to wear a hat to school to help support the class of 2017. 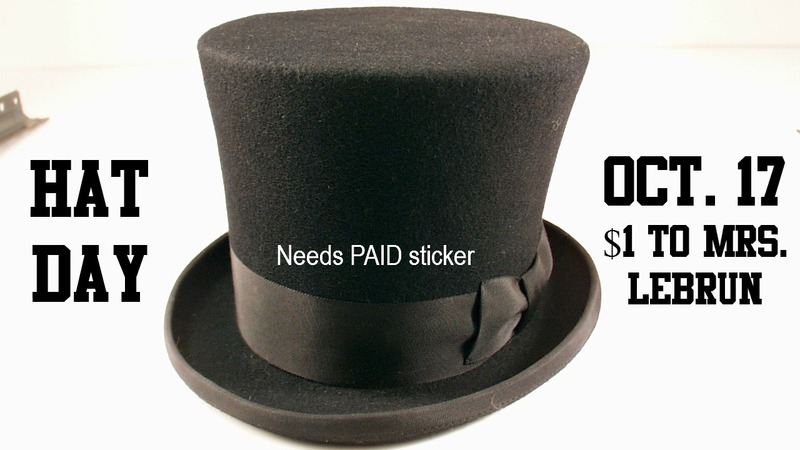 Upon payment with Mrs. LeBrun in the office, you will receive a PAID sticker which must be worn visibly on the hat. Previous Previous post: Need a Verification of Enrollment Form? Read This.